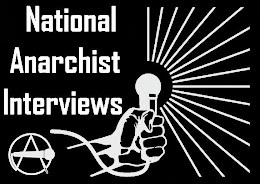 Gabriel Brown of NATA-NY (National-Anarchist Tribal Alliance, New York) talks about his journey to Anarchism and what Anarchism is. Mr. Brown's statement can be viewed below the videos. 01. So, if you could all introduce yourselves? My name is Gabriel Brown. I’m from Long Island, New York, I’m 30 years old and currently employed as a deckhand doing shellfish harvesting with a friend on a clam boat and I am an anarchist. 02. Tell me why you're an anarchist? One of several reasons why I’m an Anarchist is because our current system has become chaotic without regard for the very people it claims to serve and I believe in the concept of absolute freedom and sovereignty for the individual and local community. What I have noticed is that the U.S. government and statism in particular represent absolute oppression and enslavement of the individual and community by the collective coercive centralized state. When you have a greater degree of freedom for the individual and community, you will see a better quality of living and this concept spoke to me rather well. 03. Why it's an important ethos? Anarchism is an important ethos to me because it is a philosophy which speaks about helping give a person the ability to fully manifest their true infinite creative potential into reality without restriction, oppression or the assumption that only expanded centralized government, monopoly corporate power, or perceived “authority” is capable of manifesting an orderly, peaceful, voluntary, libertarian society into reality through dictation and coercive control. It is a philosophy worthy of great merit that promotes pure freedom through self-reliance, self-determination, and the importance of leading by example. I see Anarchism as a tool of application that can provide a variety of solutions within a more localized decentralized context to fix many of the problems that have been created by the state and plutocratic corporations that have centralized power amongst themselves. Anarchism can be applied to a multitude of ideas economic, social, spiritual etc.. And has the potential to speak to many individuals from different backgrounds for different reasons. 04. How you became an anarchist? The reasons why I became an Anarchist have a great deal to do with my political evolution from my teenage years all the way up to this current point in time. My experience in middle and high school had been rather negative. There had been a great deal of censorship by the administration of both my art and ideas. It seemed the school environment was developing in the direction of a prison rather than an educational institution. 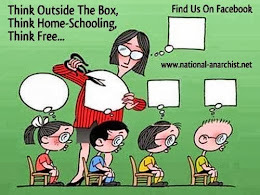 So called Left wing oriented politics were ultimately the dominating view point within the public school system, and even to a degree within my own family. So after 9/11 had taken place, I ended up gravitating toward so called Right Wing political viewpoints. 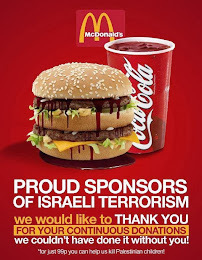 Eventually I became very supportive of the Bush administration seeing and believing the lies and propaganda that was sold to me by what I consider now to be our corporate state run media. Naively buying into the left ~ right paradigm I ended up voting for George W. Bush in the 2004 elections, as a registered independent. I was under the impression that elections were not rigged the way I understand them to be today. Once George W. Bush had supposedly won that election, I believed he would finally deliver on the promises of proactively defending America. At this time I perceived foreign dictators being a major problem around the world and felt that the oppressed people of those nations were having their talents restricted and prevented from reaching their full potential. So for a time I embraced the idea of regime change to remove oppressive dictators to give people a chance to advance humanity and to bring about new ideas. During my employment history at retail jobs, I had watched companies downsize, cut medical benefits, hourly pay, and even made it far more difficult to apply for employment. More and more I began noticing how corners were being cut, and how local businesses were becoming less and less common around the community. Between experiencing how the public school system, the monopoly corporations, and the political parties operated, and watching the system destroy my step father’s small business, I became disillusioned with the system and its legitimacy. During late 2007, I began learning more about issues like the Federal Reserve, and got interested in third party movements and candidates, beyond the Democrats and Republicans. I became active with the Ron Paul Movement in 2008 which opened my eyes up to myriad political, economic, and social issues. My involvement with the greater libertarian movement and philosophy gave me the opportunity to meet a variety of activists from many different perspectives who helped me better understand anarchism and its relation to a voluntary society based on liberty. 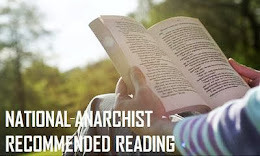 Before this I had a great deal of misconceptions regarding Anarchism due to the negative image associated with individuals who typically called themselves “Anarchists”. Many of whom were of a left wing perspective, very similar to main stream liberal democrats, or Marxists. Anarchism was explained to me in a greater degree of context having far more in common with the ideas of people like Thomas Jefferson and the founding principles of our country within the Declaration of Independence and the Bill of Rights than they did with juvenile destructive behavior or communist provocateurs portrayed in the major media. Instead of understanding Anarchism as “no rules”, it was explained to me that the word literally meant “no rulers”. After having time to evaluate concepts such as anarchism, decentralization, local autonomy and voluntarism it became clear to me that anarchism was not chaos and negativity but rather it was self-responsibility, meritocracy and individual/community initiative. From these Libertarian and Voluntarist principles, I gravitated toward Anarchism in its various different hyphenations and came to the realization that I had always been to a degree an Anarchist even back when I supported the state. I became an Anarchist because it helped me further my development to move beyond the left ~ right paradigm. 05. What you are doing now - and how do you live like an anarchist? As an Anarchist, I have tried to live by the very ideas that I preach of to the best of my ability. I’ve taken the initiative to get involved with street activism in various movements on the “left” and “right” from the antiwar movement to the anti-federal Reserve and 9/11 truth movements. This includes conversing with people about anarchist philosophy and the practical application of these ideas. 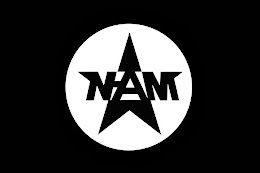 The National-Anarchist Tribal Alliance of New York or (NATA-NY) and myself have spearheaded feeding the homeless, food and clothing drives for the needy, and environmental beach clean-ups, to name a few things. I also support small businesses around my community including working freelance at an independent business outside of the corporate structure and have done organic farming at one of the few remaining farms here on Long Island. Doing many of these things helps lead by example teaching people leadership skills to engage in many of these activities without depending on state initiative. Doing for ourselves and communities rather than relying on outsiders. This helps motivate people to get more involved and feel a sense of empowerment overall. 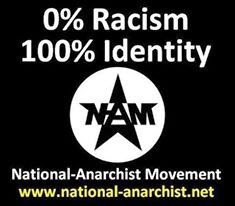 I’ve also been volunteering part time with different projects and tasks with the National Anarchist Tribal Alliance of NY's intentional community homesteading projects on our farm in upstate NY. This includes Organic permaculture and agrarian forestry, beekeeping, carpentry, and many other tasks. I tend to spend at least one moment of just about every day doing something active in promoting the ideas of liberty and anarchism it all incrementally adds up. 6. What are NATAs plans for the farm and the future for your community? 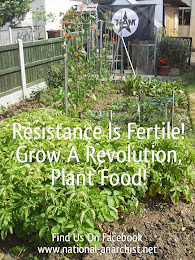 It is our intention to continue putting together all that is necessary for our farm and community to be as autonomous and self-reliant as possible. This includes expanding the use of green energy, food production, and building up our infrastructure, etc. 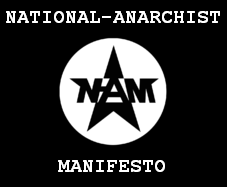 so that members of NATA, other anarchists and our allies will have a space free from state/corporate dependence and control.